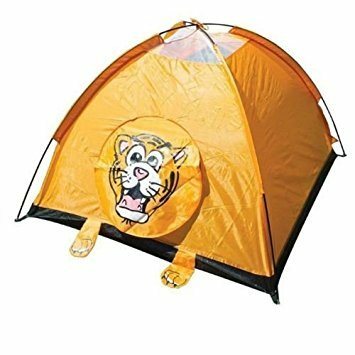 The Kids Animal Play Tent is supplied in 3 exciting character designs; a lion, elephant and hippo. This tent has a sewn in groundsheet that makes it suitable for outdoor as well as indoor use. The tent also includes poles and a carry bag for easy transportation and storage. *Please note, colours are picked at random. If a specific colour is required please state in your customer order notes found in your shopping basket..